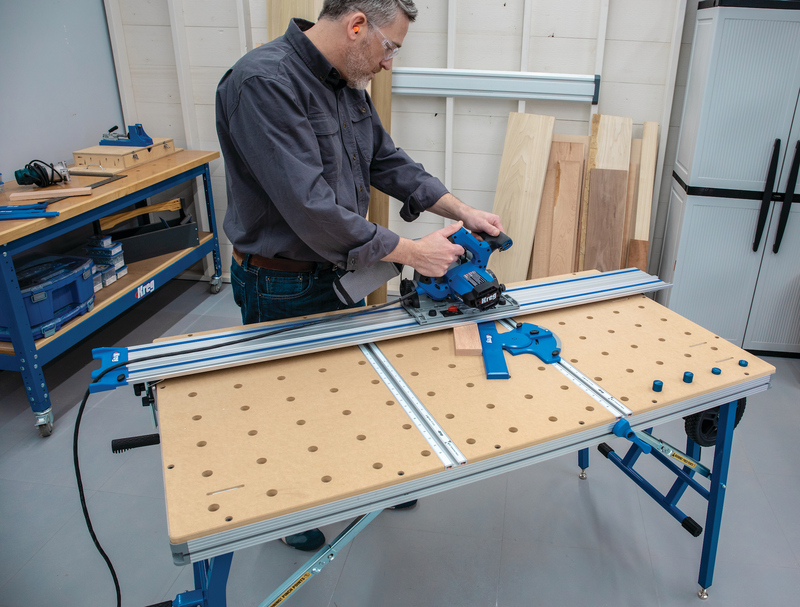 Rockler offers the CNC Piranha Fx 3D and Laser Bundle, a CNC machine that features interchangeable routing, 3D printing and laser-etching modules. The Ultra Flexible Sanding Sheets from 3M can roll, fold, shape or twist to fit into and around intricate corners and surfaces, and the products have an innovative backing that resists punctures, tears, and creases. ArtCAM 2015 R2, a new release from Delcam, is now available for general release with the following key features: enhanced 3D printing; quicker assembly of designs; faster machining simulation; group relief layers; more live 3D modeling; interactively blend relief clipart; improved relief machining; fillets for corner machining; and help creating vectors. Bosch’s JS120 is an ultra-lightweight jigsaw engineered with a barrel grip for easier handling, especially when used for bottom-up cuts. The Jet Optima T5 5-Axis CNC Machining Center from Busellato is fully-equipped with 15 hp (S1) 5-axis electro spindle, 12V+6H boring head, 12- position or optional 24-position rotary tool changer plus a 10-position linear changer. Cabinetry expanding all the way to the ceiling continues to gain popularity with designers and homeowners alike. Doellken’s Fusion-Edge offers a factory pre-applied proprietary coating that is consistent and color coordinated with the edgebanding, ensuring an invisible bond. Eurosoft released ImPrint v2.0, the next generation of its label printing and design software for automated and manual parts labeling. Festool’s 5” and 6” brushless ETS EC sander line comes in three models: the 5” ETS EC 125/3, with a fine 3mm sanding stroke, the 6” ETS EC 150/3 and the 6” ETS EC 150/5, with sanding strokes of 3mm and 5mm. Larson offers a Class 1 & 2 Division 1 & 2 portable explosion proof LED light mounted on an adjustable base stand fabricated from non-sparking aluminum. Mastercam/CNC Software offers the Mastercam X9 with Dynamic Motion improvements, Multiaxis enhancements, and many design and system features. Michelman offers the MWR-100, a modular duplex blending system that precisely dilutes and applies Michelman’s mould release agents. The M18 LED HP Flood Light is the industry’s brightest portable 18V LED flood light, and is 20% brighter than 500W halogen floodlights. Mockett’s WM36 & WM37 wire management system loops cabling in, then winds it back out. It’s available in four sizes: 3 in., 6 in., 12 in., 48 in. or custom, and comes in black, grey or white. Olon launched its paintable moulding program. The mouldings are wrapped with a recoatable material to create a smooth, sealed surface that doesn’t require sanding before the first coat of primer or paint. TigerStop offers a new interactive product selector. Get a complete turnkey automated solution, or easily retrofit existing tools. The Exkop system offers safe and easy explosion, spark, and flame front isolation. It is available for more applications, including ST 2 dusts, reduced explosion pressures of up to 2 bar and larger diameters. The Ultra Flexible Sanding Sheets from 3M can roll, fold, shape or twist to fit into and around intricate corners and surfaces, and the products have an innovative backing that resists punctures, tears, and creases. Ultra Flexible Sanding Sponges have a unique patterned surface on one side to provide flexibility and are ideal for detail and contour sanding with the other side designed for flat sanding. ArtCAM 2015 R2, a new release from Delcam, is now available for general release with the following key features: enhanced 3D printing; quicker assembly of designs; faster machining simulation; group relief layers; more live 3D modeling; interactively blend relief clipart; improved relief machining; fillets for corner machining; and help creating vectors. Watch the video at bit.ly/1hUHQw9. Festool’s 5” and 6” brushless ETS EC sander line comes in three models: the 5” ETS EC 125/3, with a fine 3mm sanding stroke, the 6” ETS EC 150/3 and the 6” ETS EC 150/5, with sanding strokes of 3mm and 5mm. The sanders are equipped with an EC-TEC brushless motor; a compact, low-profile design with an ergonomic grip; an active electronic vibration control system; a carbide-tipped pad brake and electronic control; and dust extraction efficiency. Rockler offers the CNC Piranha Fx 3D and Laser Bundle, a CNC machine that features interchangeable routing, 3D printing and laser-etching modules. The three modes offer a variety of machining options using wood, soft metals and plastic materials. The Piranha Fx features computer-controlled servo motors that maneuver the machining module (router, 3-D printer or laser engraver). XYZ travel of the machine is 12 in. x 13 in. x 3 in. for routing and 12 in. x 12 in. x 3 in. for 3D printing and laser engraving. Bosch’s JS120 is an ultra-lightweight jigsaw engineered with a barrel grip for easier handling, especially when used for bottom-up cuts. The tool’s orbital action allows professionals to make more precise, aggressive cuts in both straight- and curve-cutting applications. 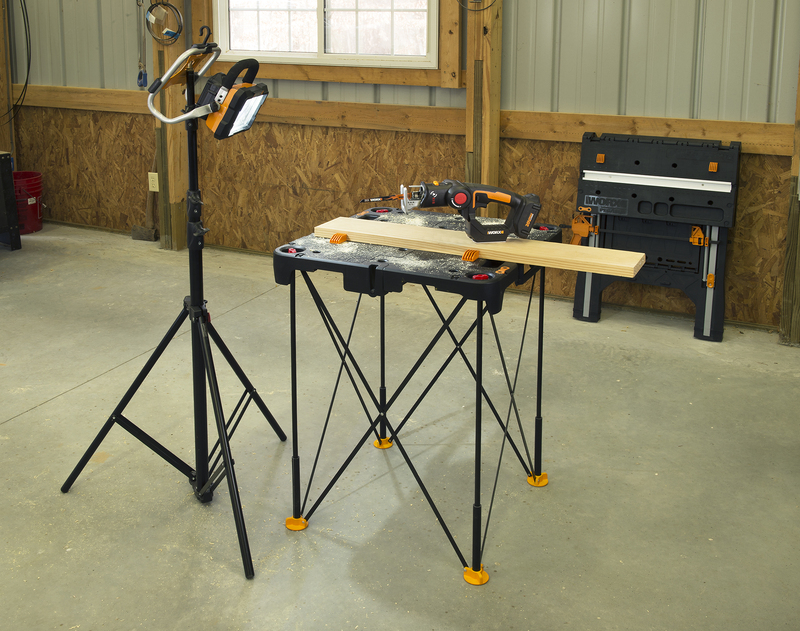 Features include a toolless, multi-directional blade clamp for quick adjustments, as well as an LED light that lights the cutting surface for improved visibility. The Jet Optima T5 5-Axis CNC Machining Center from Busellato is fully-equipped with 15 hp (S1) 5-axis electro spindle, 12V+6H boring head, 12- position or optional 24-position rotary tool changer plus a 10-position linear changer. The horizontal machining capability is suitable for door and window makers and millwork shops. Current Busellato owners can import existing program libraries and program with Alphacam software. Larson offers a Class 1 & 2 Division 1 & 2 portable explosion proof LED light mounted on an adjustable base stand fabricated from non-sparking aluminum. It can be easily adjusted up or down 90° and locked into position. Cabinetry expanding all the way to the ceiling continues to gain popularity with designers and homeowners alike. Based on this strength, Conestoga expanded its extended height. The company also offers cabinet doors and drawer fronts, architectural accents, components and accessories, RTA cabinets and more. Doellken’s Fusion-Edge offers a factory pre-applied proprietary coating that is consistent and color coordinated with the edgebanding, ensuring an invisible bond. Since the coating is already pre-applied on the edgebanding, customers do not have to apply any adhesive, increasing productivity when used with laser and hot air edgebanding. Eurosoft released ImPrint v2.0, the next generation of its label printing and design software for automated and manual parts labeling. Version 2.0 includes an updated user interface, integration with the new Bluecell optimization and nesting software. New features include: updated user interface with Windows 7-8 controls; integrated with bluecell optimization software; dynamic colors — allows printing of color coded label fields and color is set dynamically based on data of current label being printed; dynamic colors in layout view — allows the color of parts in layouts to be set based on properties of the part; and support for additional nested result file types: .dxf, .cix, bluecell block nest. Michelman offers the MWR-100, a modular duplex blending system that precisely dilutes and applies Michelman’s mould release agents. Diluting allows a constant flow rate to the spray bar insuring a consistent, uninterrupted spray pattern. The system is available in a stacked or single skid configuration, with different skid flow rates available. Mastercam/CNC Software offers the Mastercam X9 with Dynamic Motion improvements, Multiaxis enhancements, and many design and system features. Dynamic Motion toolpaths follow a proprietary and sophisticated set of rules that take into consideration a broad data set. To create the most efficient cutting motion possible, Dynamic toolpaths calculate not only the area where material will be removed; they also take into account the changing condition of the material throughout various stages of machining. The M18 LED HP Flood Light is the industry’s brightest portable 18V LED flood light, and is 20% brighter than 500W halogen floodlights. Capable of providing up to 3,000 lumens of light, it has three output modes for optimizing brightness and run-time up to 9 hours. In addition to running off of M18 batteries, it can run off of an AC cord for all day applications. TigerStop offers a new interactive product selector. Get a complete turnkey automated solution, or easily retrofit existing tools. Use the Product Selector to help determine which TigerStop product is right for your application.